Just a quick post (that I'd meant to put up around Halloween-time, haha, due to the demonic-looking umbrella eyes pic) to show just how versatile and fun an umbrella can be as a photo prop. 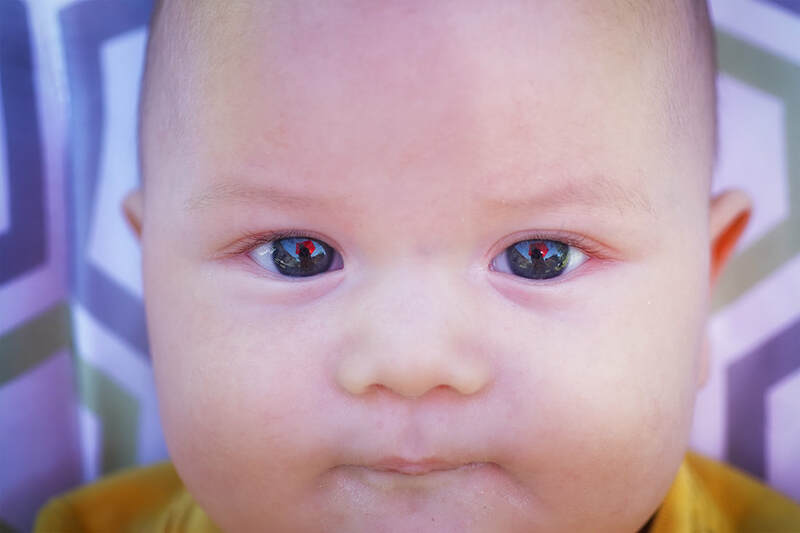 You can use one to make your infant look demon possessed... Maybe not everyone's cup of tea. 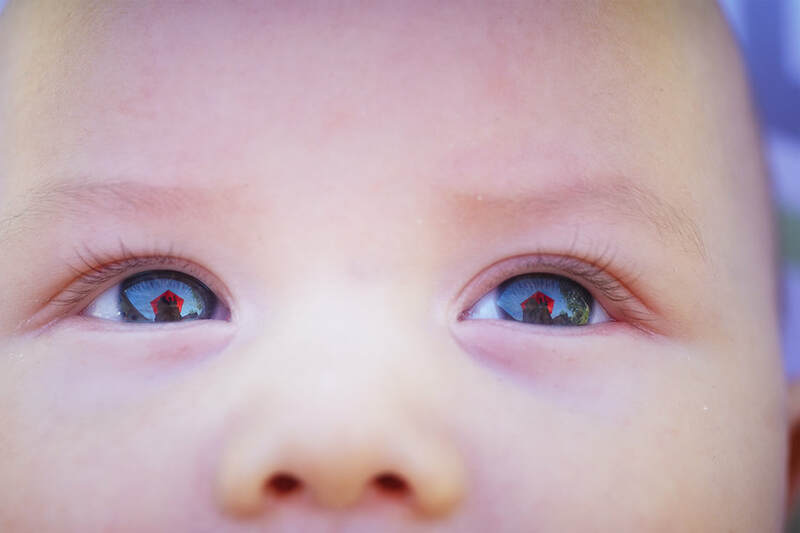 It was not my intention, but we just happened to have this red umbrella up over the table in the back yard and it was reflecting these, well, red pentagram-looking shapes into the baby's eyes, so... I took some pictures.